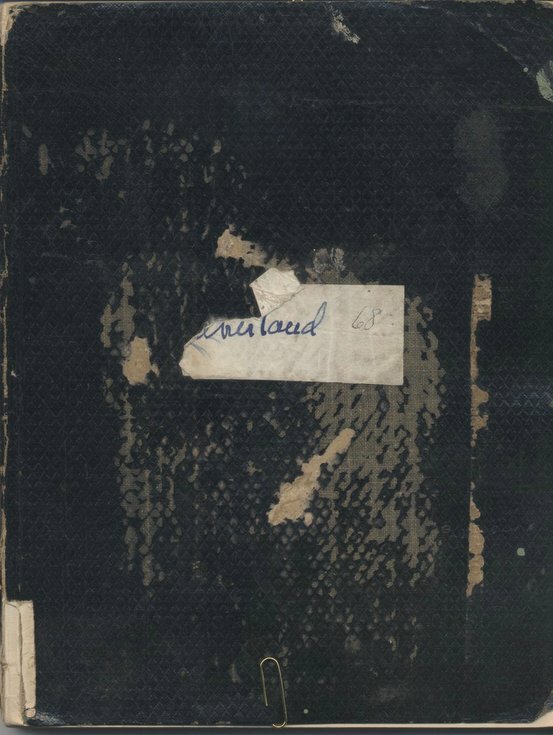 Notebook belonging to Miss Lyon, containing notes on Sutherland and other subjects taken from a variety of sources, including the Sir Robert Gordon book and Gilchrist papers. October 1909 letter to newspaper relating to MacGill's Old Ross-shire and Scotland pasted inside front cover, and 1964 letter from Sandy Fenton NMAS describing spinning equipment clipped to first page. Sewn cover partly detached.